Hmmm. This is weird. I feel like I've already 'written' dozens of blog posts in my head, but this would be the first time in months that I actually sit down in front of a laptop and write. Looking back to January and the beginning of a new year, the first thing I thought about was this blog and what I want to happen to it. As funny as it sounds, given that I haven't posted regularly for a long time, I never actually lost the desire to blog and to write. What to post has never been the problem; it's the actual sitting down and writing that has been the issue. I'm pretty sure that I've talked about it here before, but I am terrible at managing my time. There have been a number of weekends wherein I would plan to blog, but what instead happens is that I would sleep and rest because I was too tired. Rinse and repeat. And again. And again. I'm writing this post on the second week of June instead of the first weekend of the year, and while I'm a little disappointed in myself, I'm just happy that I'm actually blogging again. It's hard to explain just how serious I am about this comeback, but I am. Things have changed a bit since the last time I was here. I used to devour YA books - I read at least three to four a week - but that number has dwindled to a paltry three or four a month. This doesn't mean that I don't read that often anymore though - I'm still the same girl who has trouble sleeping if I don't finish at least one book a day. It's just that the genre of books that I usually read has changed. Now, I read one to two romance novels a day, and I couldn't be happier. I never quite realized just how much I missed reading about heroines going through the same things I do; and I never really realized just how much happily-ever-afters give me strength, courage, and most importantly, hope. Hope. If I were to be honest, one of the reasons why I haven't been having the best of years is because I haven't been as hopeful as I was before. I stopped being hopeful towards my career and the future. I was satisfied to simply coast along, and all of these just isn't me. I've always been a go-getter. I've always been positive; I've always been hopeful. Reading romance made me feel hope again, and not just because of the happily-ever-afters, and not necessarily about the romantic relationship aspect of all of it. Reading about heroines who go through the same things as me, and then emerge victorious on the other side, continuously make me realize that I can do the same. Maybe things don't happen the way I thought they would, but that's okay. I just have to relax, regroup, and soldier on. And I have to do all of these with hope. Reading romance brought hope back to me. And I couldn't be more thankful. I know that this post makes it seem like I'm saying goodbye to reading and blogging about YA, but that's not the case. I can never say goodbye to YA - reading and blogging about YA brought so many good books to my attention, and I've made so many lifelong friends. I will always have a soft spot for YA Contemporaries, and there are also a lot of upcoming YA Fantasy books I'm excited for. Saying goodbye to YA will never happen. 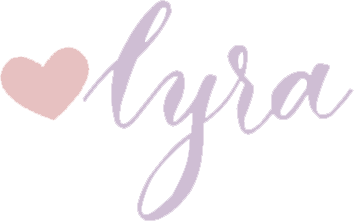 Moving forward, what I'll do is shift the focus of my blog from YA and New Adult to Romance, YA, NA, discussion posts, a weekly meme, and more posts about me. More posts about what I'm doing, and maybe even my travels, and all the random things in between. I've always wanted to make my blog more personal, and this seems like the perfect time to do it. 2018 marks Defiantly Deviant's sixth year in the interwebs, and if you're reading this, I want to say thank you. From the bottom of my heart, thank you. Thank you for sticking around. Thank you for still listening. If you're a new follower, hey, despite everything, thank you for giving me a chance. To all of you, just... thank you. Thank of you for being a part of my life for the last six years. I hope you all are a part of my life for the next six years too. 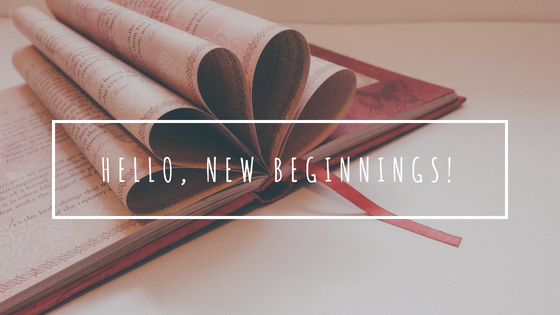 The next few months are probably going to be tough with me reacquainting myself with blogging, but I honestly couldn't be more excited to see what else I can do, and what else is in store for me. So this time, believe me when I say that I'm in for the long haul. I'm back! Thank you so much for the warm welcome back, Jennilyn!